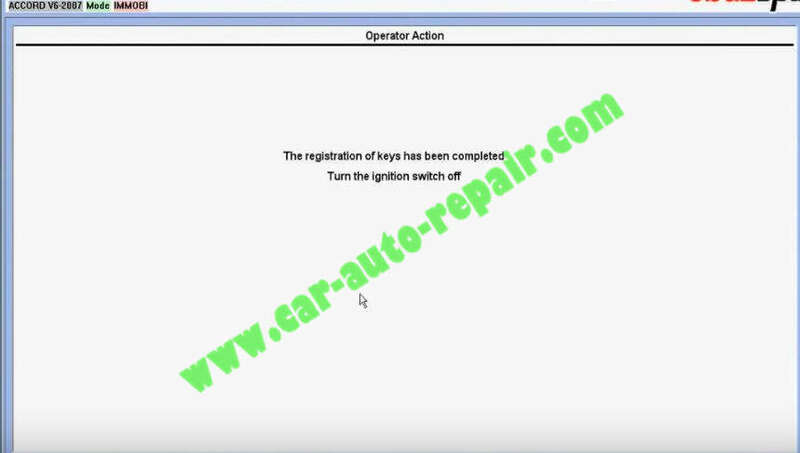 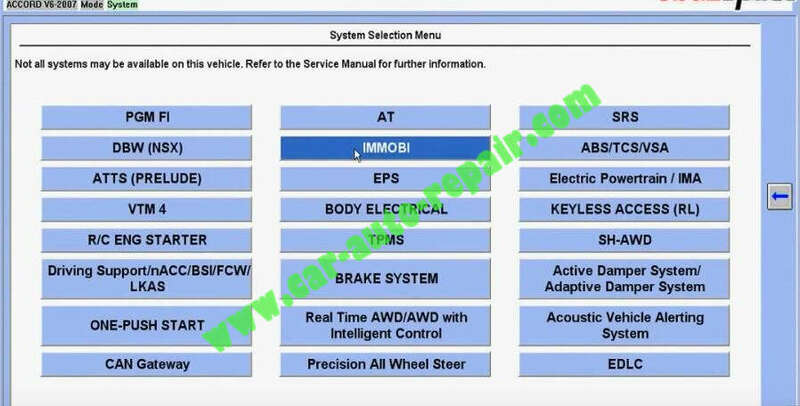 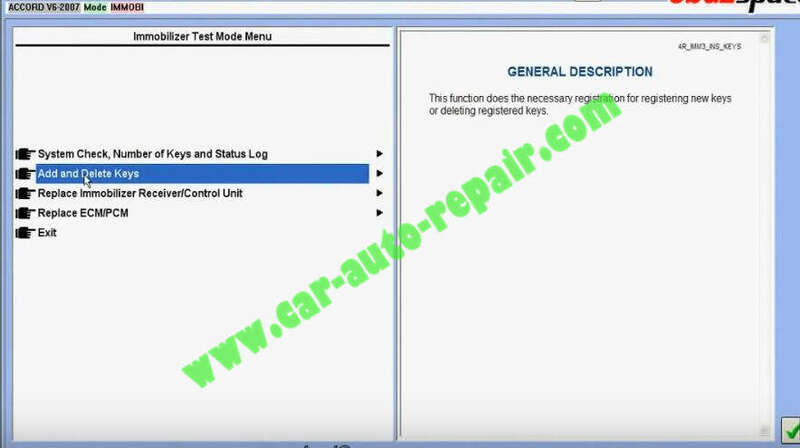 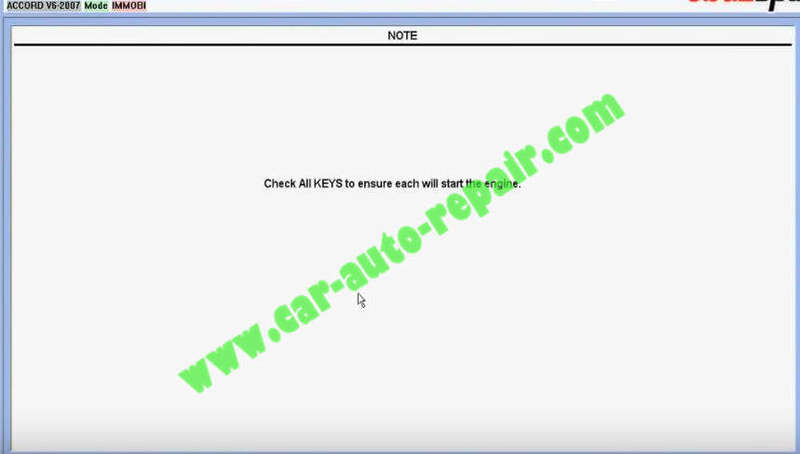 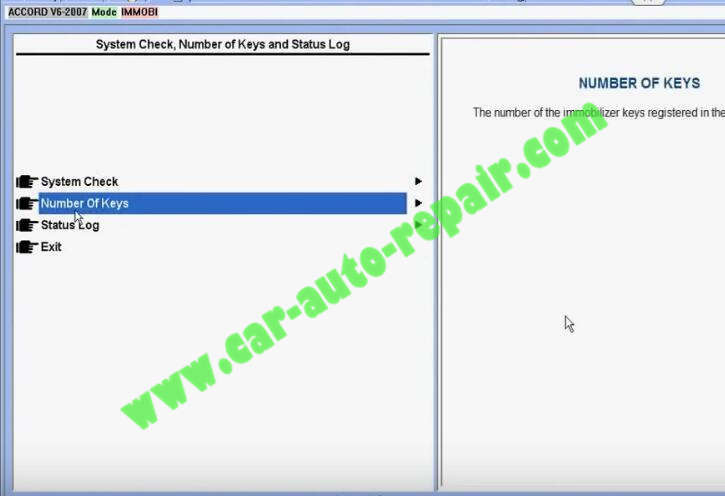 Most people believe the Honda HDS HIM is special diagnostic software for Honda vehicle model,but it not only a diagnostic tool,but also a key programmer for Honda.So here I want to share this Honda HDS HIM Key Programming guide to you. 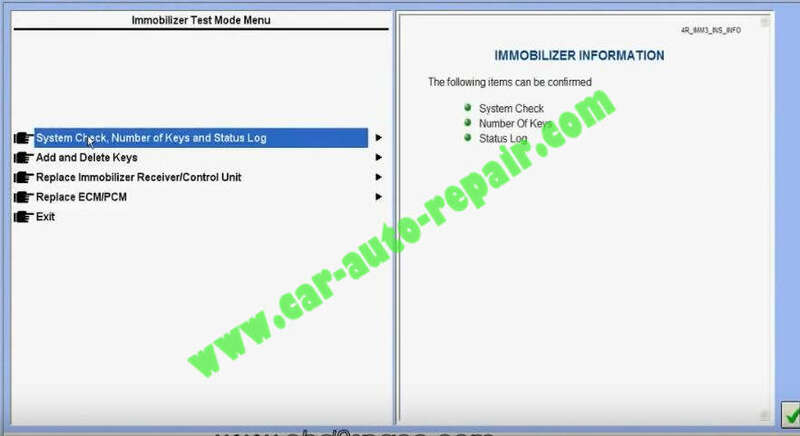 Connect Honda HDS HIM device to your vehicle by OBD port. 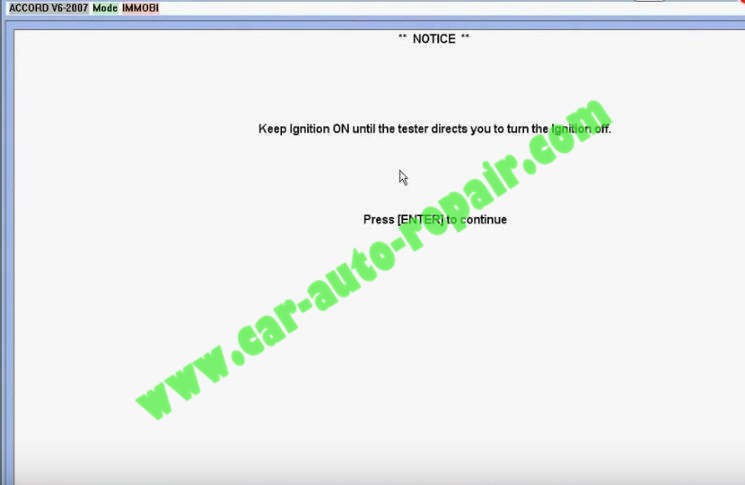 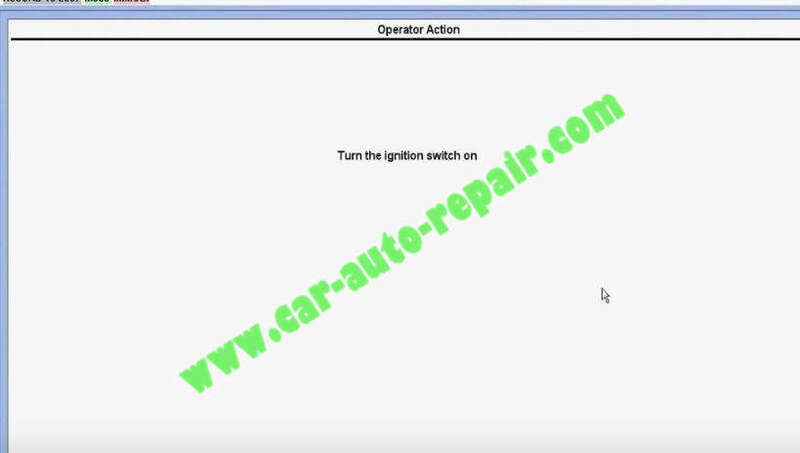 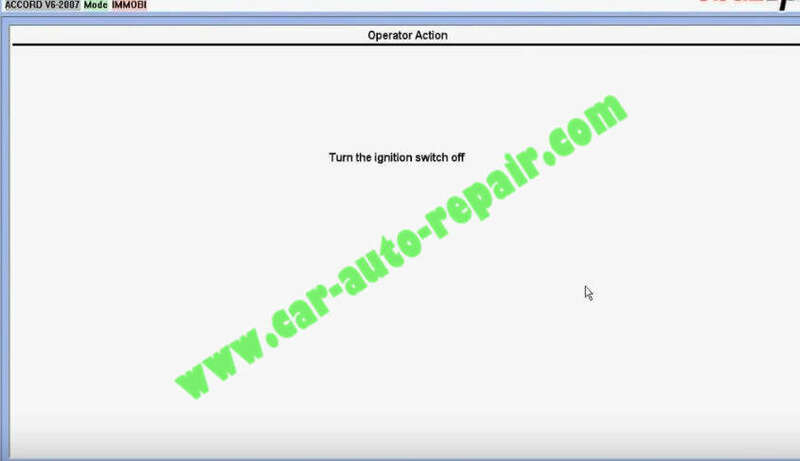 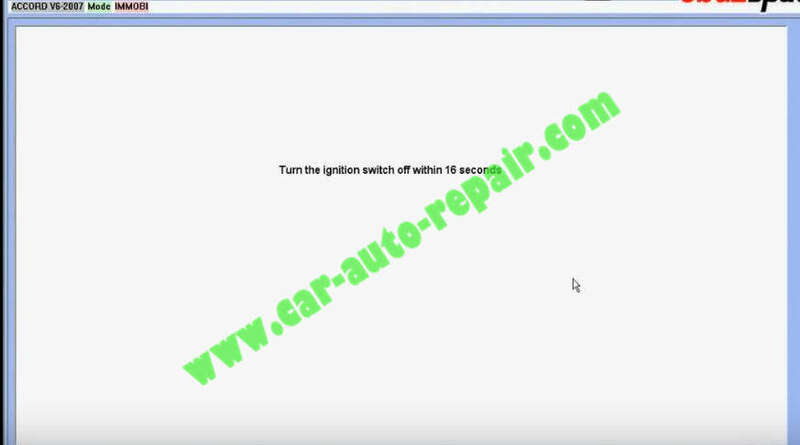 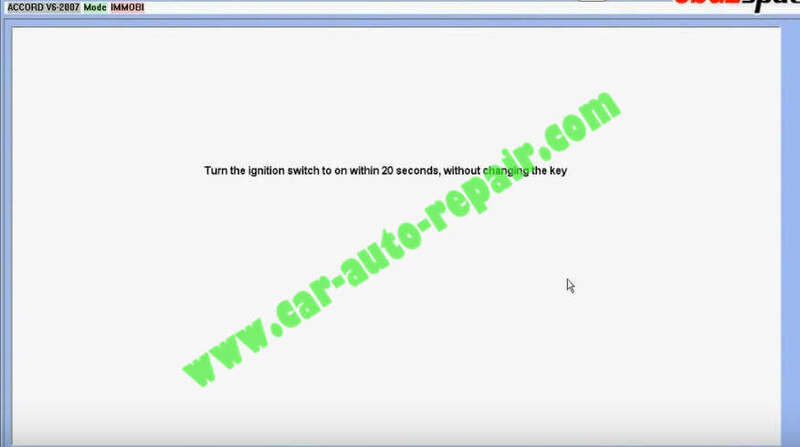 Keep ignition ON until the tester directs you to turn the ignition off. 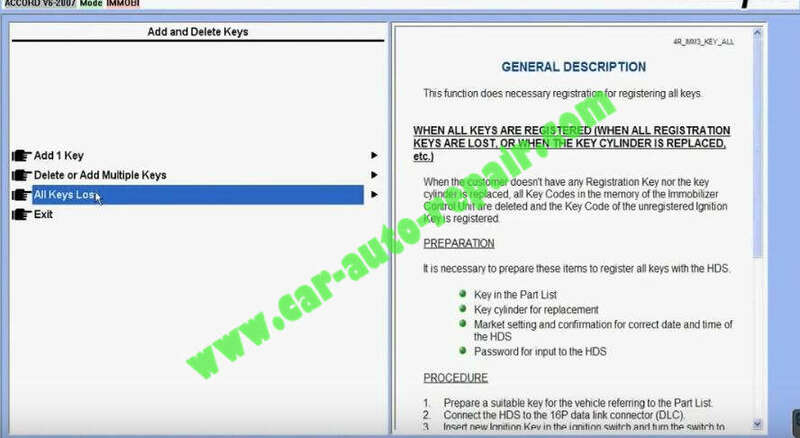 The tester cannot program keys with T5 stamped on the blade of the key or with the word ILCO on the plastic head.These keys can only be programmed with the ILCO key duplicator. 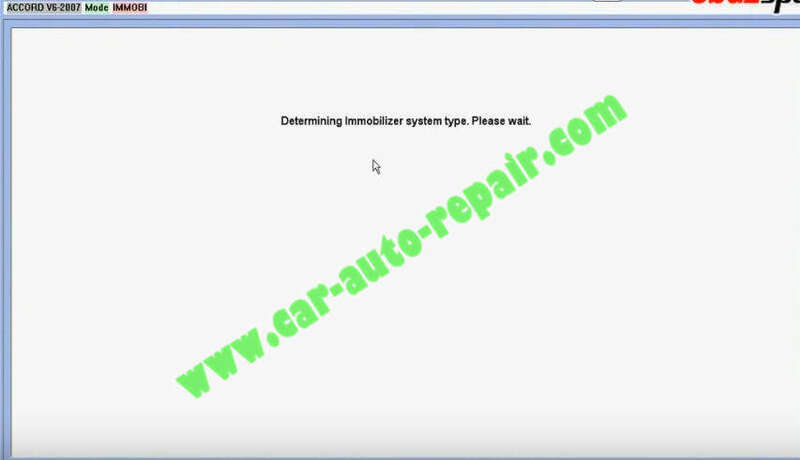 Determining immobilizer system type.Please wait. 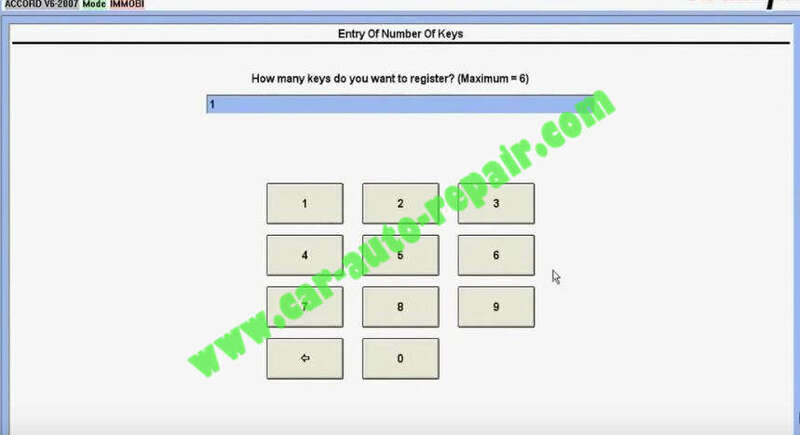 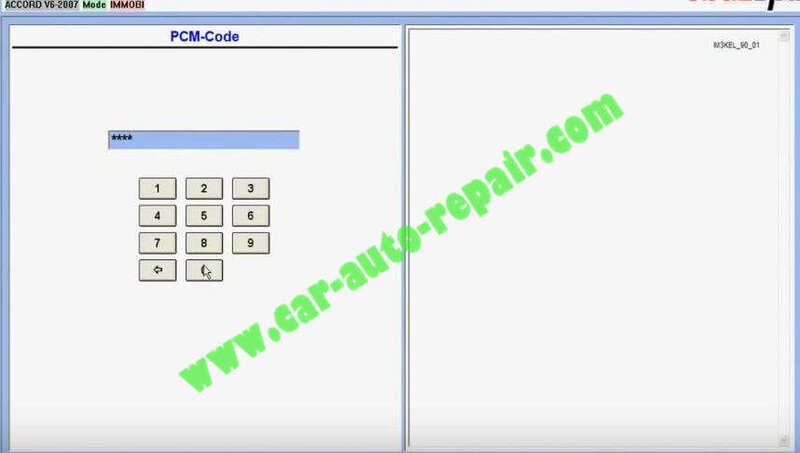 After input the PCM code,it prompt you to enter the key number you want to register.